Replacement demand could potentially play a major factor in 2019 iPhone sales, though that depends on how many people buy used models and how long people are willing to hold onto old purchases, Cowen analysts said on Tuesday. "Replacement demand could be 125-150M per year as 20-30 percent of the 900M iPhone active installed base is comprised of users with second hand / refurbished phones, and they may not necessarily replace their devices with a new one once it reaches the end of its useful life," the financial firm said in an investor memo. Analysts sounded an optimistic note however that annual replacement demand will come in at 180 million, assuming "high loyalty rates" and people keeping older iPhones up until the five-year mark. It did comment that the duration owners keep iPhones could continue to stretch, "given the sizable financial investment at current ASPs [average selling prices]." An iPhone XS is at least $999, and even the XR is $749 — $100 more than flagship iPhones once started at, ignoring extra costs like AppleCare and accessories. Even if new iPhone replacements fall on the low side, it's not all doom and gloom, Cowen suggested. People with used phones may stil buy products like AirPods or the Apple Watch, and the company still receives some economic benefit from used devices via refurbs and the trade-in market. Turning to other issues, the firm did caution that Apple "does not have a solid 5G modem strategy" for 2020, given its legal war with Qualcomm and Intel's slow pace on 5G technology. It supported the idea that Apple may develop its own 5G modem, something backed by rumors, but whether that will be ready in time for 2020 is questionable. 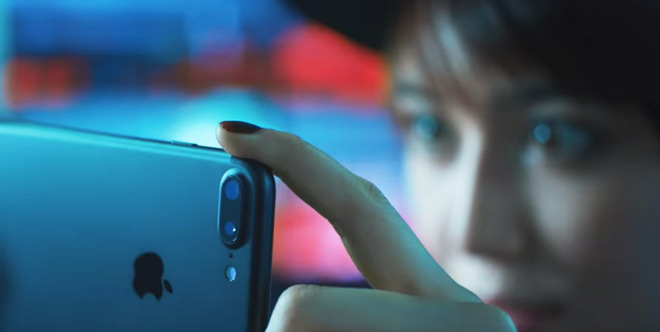 Apple "will not be successful" in expanding marketshare in poorer countries like China and India without a low-cost iPhone, the analysts continued, arguing that the iPhone SE has not been enough. "Instead, the iPhone continues to be an aspirational device, and focusing on higher margin distribution channels and producing iPhones in India to avoid import taxes (an initiative that it is currently ramping) could help improve demand," Cowen wrote. "Finally, models that can accommodate or target specific usages in a given region can also be crucial to success, e.g. dual-SIM capabilities for China market iPhones." Another worry is that margins for both iPhones and services could narrow. "iPhone product margins could see compression given that the company is in a trailing technology position and FY18 iPhone ASPs have already increased 19 percent vs FY16," the memo said. "In order to catch up from a feature set perspective, iPhone cost of goods sold are likely to increase further." Services margins could come under pressure from the high cost of licensing content, as well as competition from services like Netflix, Hulu, and Spotify. Apple is also facing multiple legal actions over the App Store, including a Spotify complaint in Europe and a U.S. lawsuit. Either could potentially lead to Apple slashing its 30 percent take from most in-app transactions. Cowen is holding on to an "outperform" rating for Apple stock with a $220 price target.